Guts Casino will then reward you with a bonus (Welcome Bonus is for new players only). The terms and conditions of the bonuses vary between different casinos and might also change over time and between different countries, so it is important to compare the different offers and read the T&C for Guts Casino before signing up. Guts Casino is created by iGaming experts who launched the site in 2013, with an ambition of providing a platform that’s service and gaming wise unparalleled. As an MT SecureTrade operated casino, it holds MGA and UK Gambling Commission licenses and is one of the rare online facilities that protects its users by partnering with ThePOGG, an online portal which offers a deposit back warranty service for all those who feel that an online casino mistreated them. An extra perk that Guts has in store for their members is a manual flushing option, allowing you to keep the withdrawal amount out of your reach and sight before it actually settles on your account. Signing in as the new Guts casino member is an easy procedure that can be completed in less than a minute and confirmed with a code sent to your phone number. Once inside the casino, you will be more than happy with Guts promotional offers and the layout of the site which gives you an immediate and full view of the entire casino and its most important elements – games, client support button and the casino bonuses. For easier navigation, Guts is divided into 5 main categories: Sports, Live Betting, Casino, Live Casino and a downloadable Poker package. All of the games are RNG certified and sorted into subcategories: video, classic, 3D, top games, live, table, jackpot etc. If you click on the Provider tab, a list of all Guts casino providers will be displayed, along with the appropriate tags – hot, live, new or jackpot. 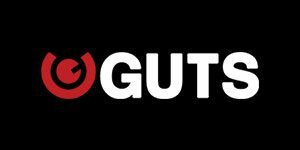 NetEnt, Microgaming, Quickspin, Play’n GO, Red Tiger and Pragmatic Play are the developers of the majority of slots and table games you will find in Guts. Guts Casino provides their members with literally hundreds of options to choose from, depending on one’s preferences of the design and the structure of the slot. Classic, 3D and Video slots each have their own category and can be sorted alphabetically or by popularity and provider. You can also combine the search filters and select in which order and according to what references the results will be displayed. For example, you can combine Classic slot or 3D slots to be listed according to the software provider or popularity. If you want to see what are the most popular releases among the Top slot titles, Viking Runecraft, Starburst, Book of Dead and Thunderstruck II are just a few releases that will appear on the list. And you can play them in both demo version and for real cash. The Table game offer is a bit limited, but in addition to the standard Roulette, Baccarat, Blackjack and Poker variants, Pai Gow, Red Dog, Craps and Triple Chance HiLo are also included. Most of online casinos place Keno, Bingo and Scratch Card games under this category, but Guts has a few surprises up its sleeve and one can even play Microgaming’s version of Rock-Paper-Scissors or Hand to Hand Combat. Live Tables are powered by NetEnt and Evolution Gaming. You can visit the NetEnt Live Casino lobby as soon as you create your own Guts casino profile and start playing after the first deposit entry. Together with the Roulette lobby, VIP, Double Ball, Speed, Immersive and native Roulette tables, Poker, Blackjack, Baccarat and Dream Catcher are provided as well. Guts handles transactions via Visa, Master Card, Skrill, Neteller, Paysafecard, Ecopayz, Zimpler, Sofort and Interac and the accepted currencies are Canadian, New Zealand and US dollars, British pounds, euro, Denmark kroner, Norwegian kroner and Swedish kronor. The casino itself will not charge any fees to their members, although certain payment methods may charge the service to the clients, depending on the tool used. Withdrawals are settled quickly although that too will depend on the selected payment service – 1 to 3 working days for credit/debit payment card withdrawals and the same amount of time for bank transfers. Pending time is extremely short and processing the withdrawal requests can be instant or take up to 6 hours if the casino needs additional documents to verify the account and approve the withdrawal. Customer service can be contacted via Live Chat or email, even if you are not a registered casino member. To speed up the entire process, you will be asked to fill out a short form, which will basically provide topic for your inquiry and make it easier for the agent to assist you. Using a chat option is the safest as well as the best way to get help, since the FAQ section is not overly detailed and some of the information (such as as details about the payments and withdrawals) are available to the casino members only. On the up side, the service is great and the agents will handle any issue professionally.